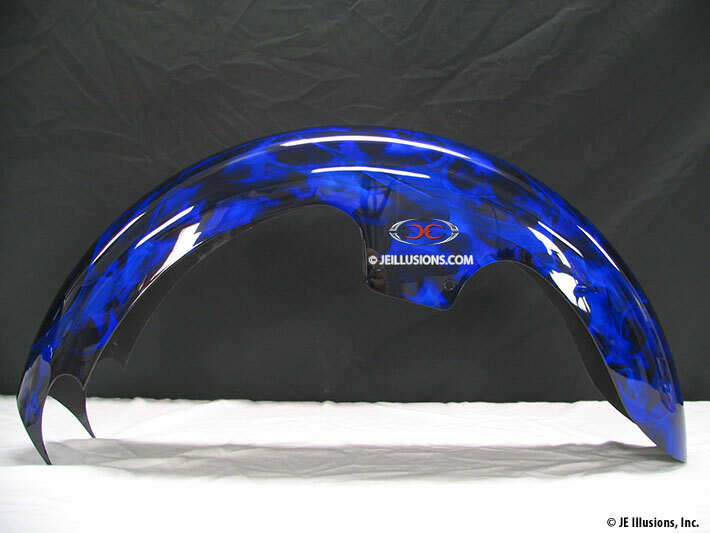 Airbrushed swirls of contrasting blue kandy merge with a bevel-edged blade design, all interweaving with each other in great detail, even covering the entire bike frame. 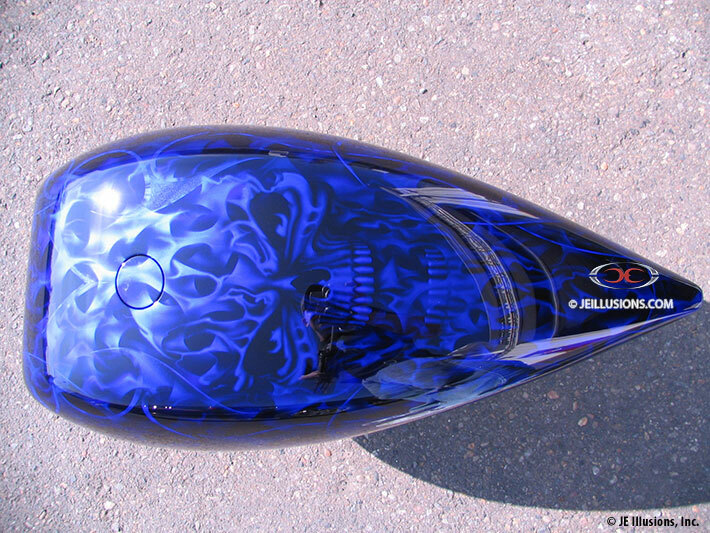 The design unfolds into an airbrushed, very nicely detailed skull design which encompasses the whole top tank area. All of this sits on top of a true jet-black base. Originally done in blue, another set in red with changed up murals and a second in blue with a Cher Ami twist show ways to change up a design and make it your own.